Can you tell the difference between Sarah Palin’s Going Rogue and Danielle Steel’s No. 1 bestselling novel Rogue? Take our quiz. 1. A. I was better at basketball, but thought soccer was more fun.B. My friends and I lived for basketball, and at the beginning of my senior year, we counted down the days until the season began. 5. A. And it’s not so easy to find the right match, there are a lot fewer candidates, and even with the good ones, there’s a lot of baggage.B. I admitted, though, to the one skeleton I’d kept hidden in my closet for the past 22 years. 7. A. She had been part of the consulting team for the children of Columbine after the school shooting, had written several papers on the effects of 9/11…B. The occasion was the National Press Club where she spoke to fellow journalists about the patriotic atmosphere following the 9/11 attacks. 8. A. We passed a whisper between us: “Say a prayer!”B. You never know how it will turn out. You just do your best and pray a lot. I always do. 9. A. He’s 19 and he’s not interested in the baby or the girl, so he’s willing to sign off.B. He talked about watching his sister be humiliated on national television as her former boyfriend went on his fact-free kiss-and-tell media tour. 10. A. There had been the wonderful days in the beginning, and the lonely, angry, frustrated days in the end.B. It had been the most spectacular ride—a roller coaster, yes, but we’d do it again in a heartbeat—and we’d learned some lessons along the way. 10/10: You’re presidential material.8 or 9: You betcha you’re smart!6 or 7: You’re almost ready for Katie Couric.4 or 5: You’re on a bridge to nowhere.3 and under: You’re vice presidential material. Plus: Dustin Diamond’s Saved by the Bell memoir vs. Ernest Hemingway’s For Whom the Bell Tolls. Plus: Lauren Conrad’s L.A. Candy vs. Joseph Conrad’s Heart of Darkness. 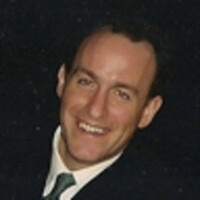 Michael Solomon is the executive editor of Byliner and the former features director of The Daily Beast. His writing has appeared in Vanity Fair, Esquire, Elle, and The Guardian, and he is the author of several books, including I Hope Like Heck: The Selected Poems of Sarah Palin.